A crack pipe lined in blue velour. 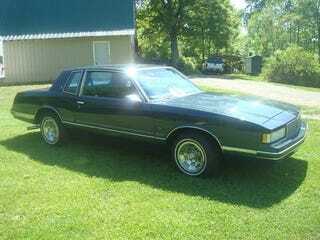 Anyone interested in a low mileage 1986 Monte Carlo? Having lustful thoughts of a metallic blue coupe with blue velour interior. Want to feel the amazing power of a mid-eighties 305 V8 backed by a automatic transmission? Then this car can be yours for only $13,500.